In her book, The 21st Century Engineer, past ASCE president Patricia D. Galloway, Ph.D., P.E., Pres.04.ASCE, writes, “Change is constant in society and engineering helps drive change and is driven by it.” As the civil engineering profession moves toward the goals of The Vision for Civil Engineering 2025, the makeup of engineering may change as well. The professional civil engineer of the future will be the clear leader of projects, integrate technology and resources, and spearhead the interface with the owner and the public. 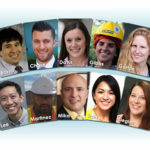 To recognize young engineering leaders who will help drive that change, ASCE has selected 10 outstanding students as the New Faces of Civil Engineering–College Edition. Through their academic achievements and volunteer efforts they have demonstrated strong analytical skills, practical ingenuity, creativity, good communication skills, business and management knowledge, leadership, high ethical standards, professionalism, and flexibility. Credentialed as a LEED Green Associate, Alexandria Boddy, S.M.ASCE, is excited about what the future of sustainable engineering holds in reducing our carbon footprint in the world. “I cannot wait to see what technology becomes available in this fast-growing industry in order to make engineering more sustainable,” says Boddy, a student at the Florida Institute of Technology (FIT) majoring in civil engineering with a minor in sustainability. “[When I graduate] I would love to get involved with a company [involved in sustainability] in order to not only learn what is available now, but to help invent the future of this field. A member of the United States Green Building Council Central Florida Chapter, and the Order of Omega Honor Society, Boddy first got involved with FIT’s ASCE Student Chapter as a freshman by learning how to make concrete mixtures for the school’s concrete canoe. “This allowed me to be one of the prominent concrete designers [in] only my sophomore year,” she recalls. “These opportunities furthered my knowledge before I learned these processes in the classroom. Boddy has held 2 internships in the civil engineering field over the past 3 years. 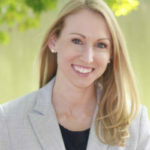 She interned for Neel-Schaffer as a traffic data collector and with the Bowman Consulting Group, where she wrote Site Investigation Reports (SIR) and worked with the professional engineers on permit submittals. “The opportunity to apply what I have learned in the classroom to help those in need is extremely rewarding,” says Burns of the 2 EWB / University of Toledo Student Chapter projects. “Not only have I been fortunate enough to travel to Honduras to meet the communities that we serve, but I have been able to gain a global perspective of the challenges that engineers face. Burns, who presently serves as ASCE North Central Regional Conference planning chair and a member of the University of Toledo’s Concrete Canoe Team, is excited to serve others. 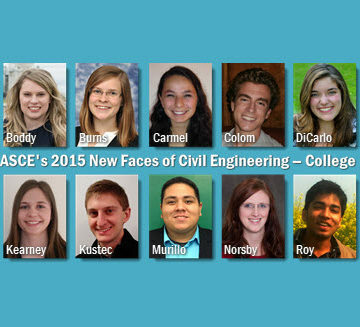 As a freshman at the University of Maryland, Alana Carmel, S.M.ASCE, was missing something. “One day, as I was waiting outside my advising office, … a senior civil engineering student struck up a conversation with me about a strange[-]sounding club he was involved with named Concrete Canoe,” recalled Carmel, who is also majoring in civil engineering. “My heart jumped with excitement and curiosity. I marched straight to concrete mix practice after my advising appointment. As a field work and project management intern with the Cianbro Corporation in the summer of 2014, she worked on a project cutting slabs of wood to be used for concrete form-work along the Potomac River. Past Philanthropy and Community Service chair for Alpha Epsilon Phi, Carmel says her interest in civil engineering is growing. As resident of Alicante, Spain, Fernando Colom, S.M.ASCE, has taken advantage of several international student exchange programs, including the International Association for the Exchange of Students for Technical Experience (IAESE) and the Erasmus Student Network. “[IAESE] is all about empathy and globalization,” explained Colom, who is presently attending the University of Alicante, where he is majoring in construction engineering with a minor in structural engineering. “I participated in this program to improve [my understanding of] people’s lives [in other countries], [in terms of] both working and socializing. The idea is to get the same feedback once I go abroad for a temporary work placement. “I enrolled in the Erasmus program last year in Budapest, Hungary, and it was a great experience [being] far from my country. Meeting new people, [seeing] new places, and studying in a recognized university of civil engineering at BME [the Budapest University of Technology and Economics]; I will keep those friends forever and every experience I got there. Morgan DiCarlo, S.M.ASCE, wants to see the gender gap closed in STEM (Science, Technology, Engineering, and Math). Employed as a civil engineering curriculum coordinator by the Women in Science and Engineering (WISE) program at Stony Brook University in the summer of 2013, DiCarlo designed and implemented curricula to engage young women in engineering through hands-on projects. “This program impacted four classes of Long Island high school girls, and continues to expand,” states DiCarlo, who majors in civil engineering with a minor business management at Stony Brook. “My mentorship and outreach for WISE led to my seat on the STEM Advisory Board at the Intrepid Museum. A recipient of the ASCE Metropolitan Section’s Scholarship Award in May 2014, she was the founder of the ASCE Stony Brook Student Chapter, and today serves as president. A Stony Brook Concrete Canoe team leader, DiCarlo also received the ASCE Long Island Branch Student Outreach Committee’s Certificate of Recognition. After hearing about Bridges to Prosperity (B2P), a nonprofit organization that builds pedestrian bridges in third-world countries to provide isolated communities access to basic needs, Jennifer Kearney, S.M.ASCE, decided to not only start a B2P chapter at Penn State but also lead a 10-member team in Caimital, Panama. “Without the support and encouragement of many ASCE members, our B2P Chapter would not have been able to construct a 250-foot suspended pedestrian bridge in Panama this past summer,” says Kearney, a civil engineering student at Penn State who has since gone on to be president of the B2P Penn State Chapter. 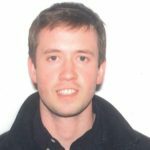 “I learned many skills through leading a B2P team that I will continue to use in my future as an engineer. Aside from ASCE and B2B, Kearney is active with Engineers Without Borders–USA, the Society of Women Engineers (SWE), the American Concrete Institute, the American Institute of Steel Construction, Tau Beta Pi, and Chi Epsilon. She also serves as Logistics and Funding officer for Penn State’s Steel Bridge team, the overall orientation lead for over 180 first-year students in the Women In Engineering Program, and chairperson for the SWE Stayover, involving more than 70 high school women. In a volunteer effort Andrew Kustec, S.M.ASCE, had the opportunity in March 2014 to help rebuild houses damaged in New York City from Superstorm Sandy. “While we were there, our main task was to insulate the floor, walls, and ceiling of a house,” recalled Kustec, a civil engineering student at the University of Akron. “This meant accessing the crawl space and attic. Of course, being an engineer, I was paying attention to the foundation and the trusses; giving a personal inspection for structural integrity. A member of the University of Akron’s Concrete Canoe Design Team and the Steel Bridge Design Team, Kustec says being a member of ASCE has impacted his college experience immensely. A member of ASCE for the past 3 years, and currently president of the ASCE Texas A&M University-Kingsville (TAMUK) Student Chapter, Victor Murillo, S.M.ASCE, says his involvement in the Society has made a “big impact” on his college experience. “ASCE gave me a sense of belonging ever since I joined [in my] sophomore year,” says Murillo, who has also been a member of both the school’s Concrete Canoe and Steel Bridge teams. “It taught me the importance of being involved and staying organized [and] it has taught me how to work in a team and how to be a responsible individual. A volunteer at ASCE’s Texas Section Centennial Conference in Corpus Christi, where his University hosted the Concrete Canoe Competition in 2013, Murillo also currently serves as a student liaison / TAMUK student representative for the ASCE Corpus Christi professional branch board, in addition to being part of ASCE’s Leadership Development Sessions this past summer. Additionally, Murillo is a member of the team performing professional design services for the TAMUK / City of Kingsville partnership to renovate infrastructure in the historical downtown district. “The designs,” say Murillo, who is majoring in civil engineering with a minor in mathematics, “include improved road surfaces, [a] drainage network, and other infrastructure work. The project will be the catalyst to securing private investments that can revitalize the historic downtown area. As a volunteer at last year’s Sky’s the Limit Engineering Outreach program, designed to introduce young women in 7th to 12th grade to careers in STEM (Science, Technology, Engineering, and Math) fields, Alyssa Norsby, S.M.ASCE, wanted to show girls what it is like to be an engineer and help them develop their problem-solving skills. Vice president of the University of Wisconsin-Platteville Student Chapter in 2013, as well as past Marketing and Publicity Committee chair, Member Involvement Committee chair, and member of the 2012 and 2013 Steel Bridge team, Norsby is also a member of Chi Epsilon and the Society of Women Engineers Fundraising Committee. “Participating in ASCE has been one of the best and most rewarding experiences I’ve had in college,” says Norsby, who is majoring in civil engineering with a minor in mathematics. “Not only have I met lifelong friends and professional connections, I have developed as a person and engineer through my experiences. Socially conscience, Yuvraj Roy, S.M.ASCE, initiated a program at the Birla Institute of Technology in Jharkhand, India, called REVA (Right of Education and Vision for All), through which he organized a march through a slum area of the city, to convince parents to send their children to school. In addition to organizing and volunteering for a blood donation camp at the Birla Institute of Technology, Roy also started a campaign program with a nongovernmental organization in India named PRATHAM, where during his college vacation he taught math and science to children attending 6 schools in nearby slum areas. As a volunteer with the Bihar (India) State Disaster Management Authority, Roy helped educate people in their community about the dangers of natural disasters like floods, earthquakes, and fire so that people could develop a resiliency plan. It is very exciting to see a UW-Platteville student on the list! Go Pioneers! After read the New faces of civil engineering journal, I felt very enjoyed and appreciated. field. Really, I am happy to join into the American society of civil engineering group. We are proud of our granddaughter, Jennifer Kearney, who displays an outstanding ambition and drive to understand the dynamics of engineering and her unselfish desire to help people as displayed in her two trips to panama as part of bridges to prosperity to make life more productive for several communities.